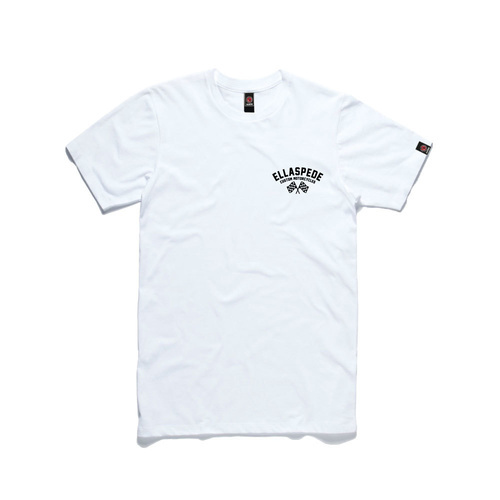 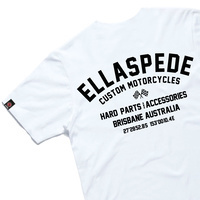 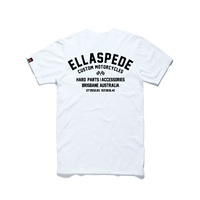 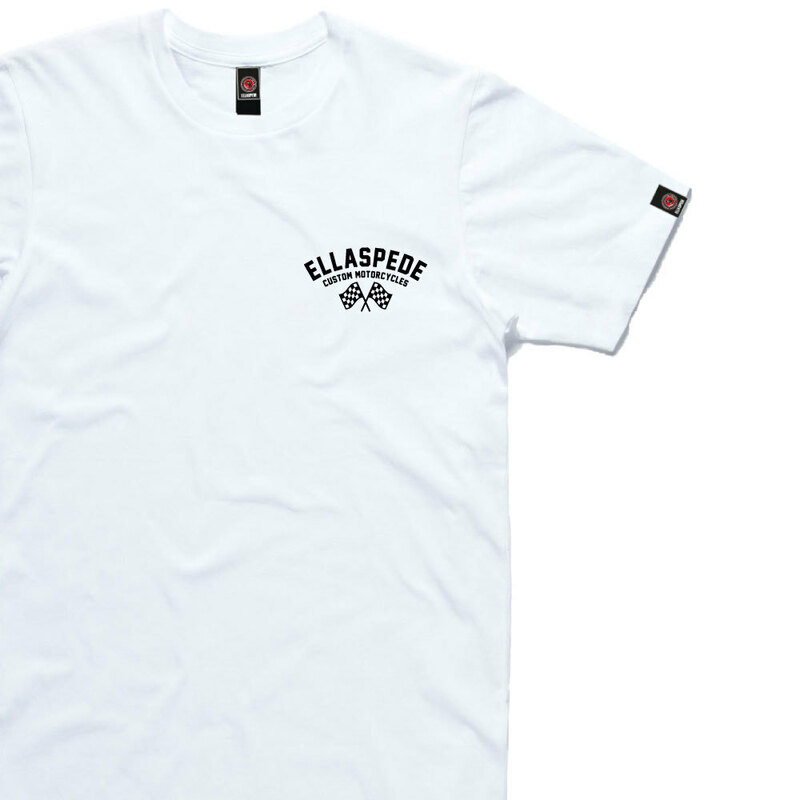 The Ellaspede Shop Address tee is our crisp white for when we like to get fresh. 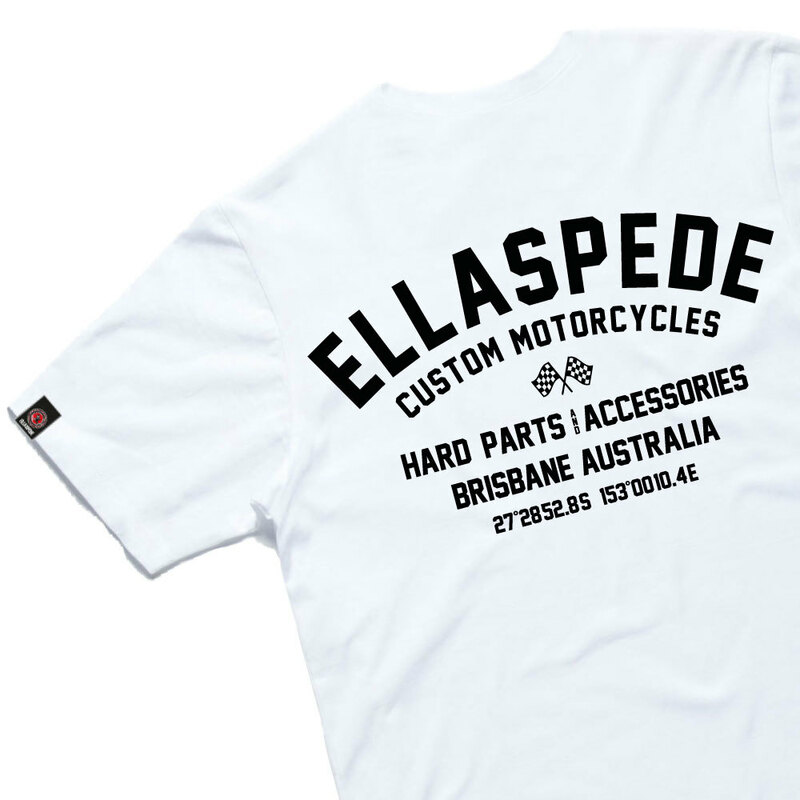 Made from 150 GSM 100% cotton, it also features a stitched sleeve logo detail. 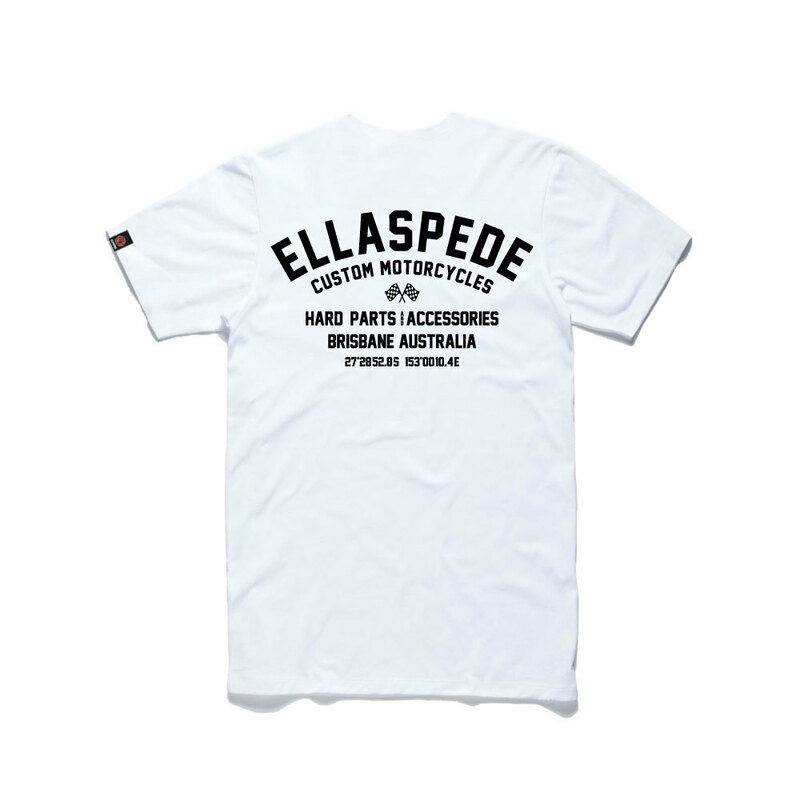 The fabric is pre-shrunk to minimise any size change, with a shoulder to shoulder tape and double needle hems preventing unwanted stretch. 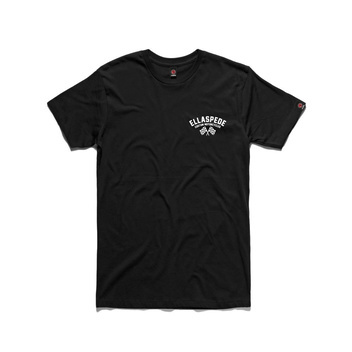 Our shop favourite print for when we're out to impress.